The Rescue Diver course will show you how to perform rescues and manage diving accident situations both on the surface and underwater. 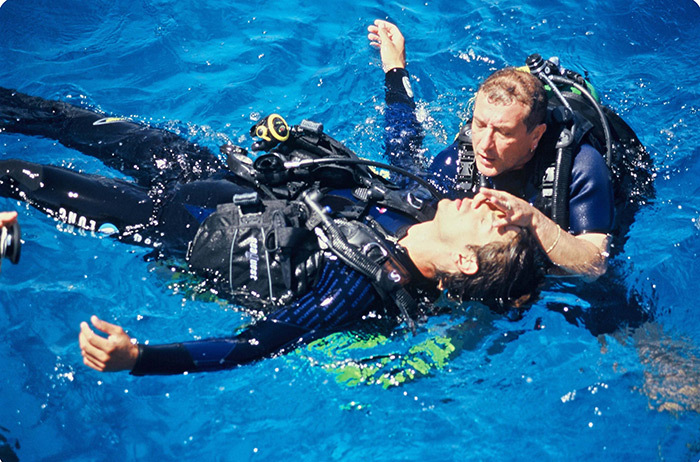 In addition this course will help you feel more confident and will give you the knowledge and experience to look after divers and their safety. Requirements: Advanced Diver or equivalent. Cost includes: All equipment rental, all dives, manual, use of boat and PADI certification fee.